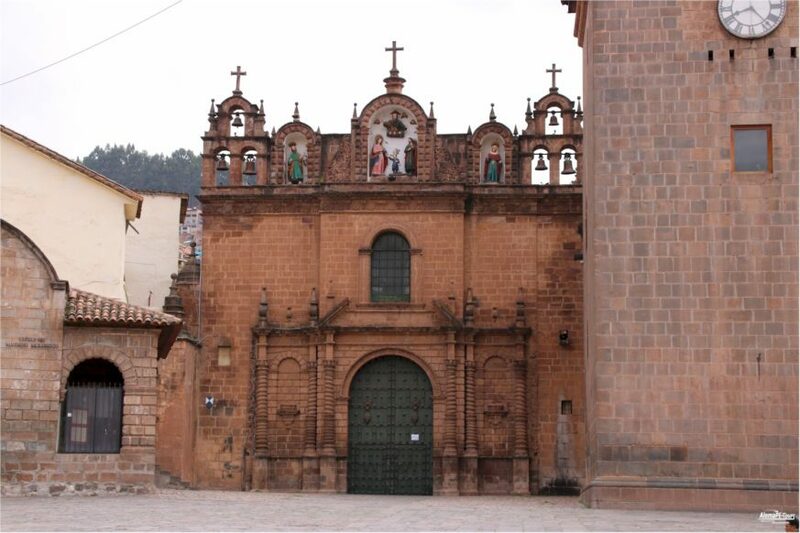 The Cathedral, in addition to its official status as a place of worship, has become a major repository of Cusco’s colonial art. It also holds many archeological artifacts and relics. 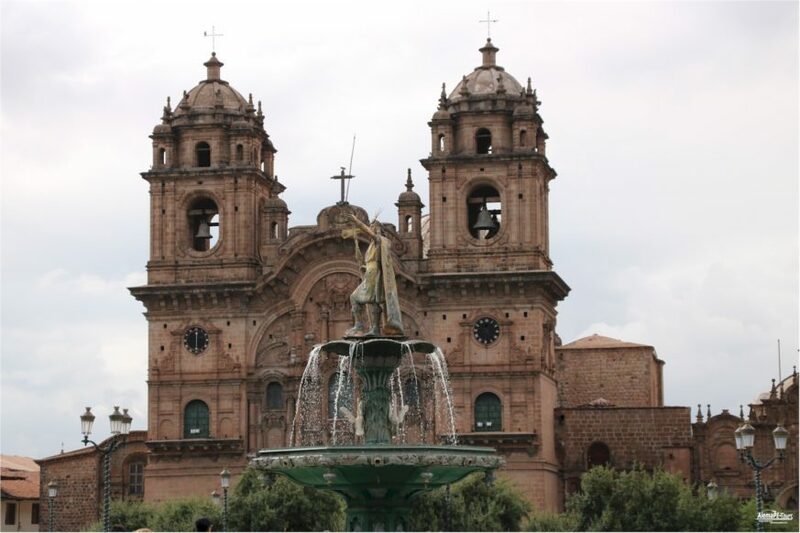 The cathedral was designated a UNESCO World Heritage Site under the City of Cuzco listing in 1983. The Incas built the temple known as Kiswarkancha on the main square in Cusco. It was the Inca palace of Viracocha, ruler of the Kingdom of Cusco around a century before the Spanish colonists arrived. The aboriginal name of this city was Qusqu. Although it was used in Quechua, its origin has been found in the Aymara language. The word itself originated in the phrase qusqu wanka (“Rock of the owl”), attending to the foundational myth of the Ayar siblings. Near to the Kiswarkancha was the Suntur Wasi, an armoury and heraldry centre for the Inca royalty. 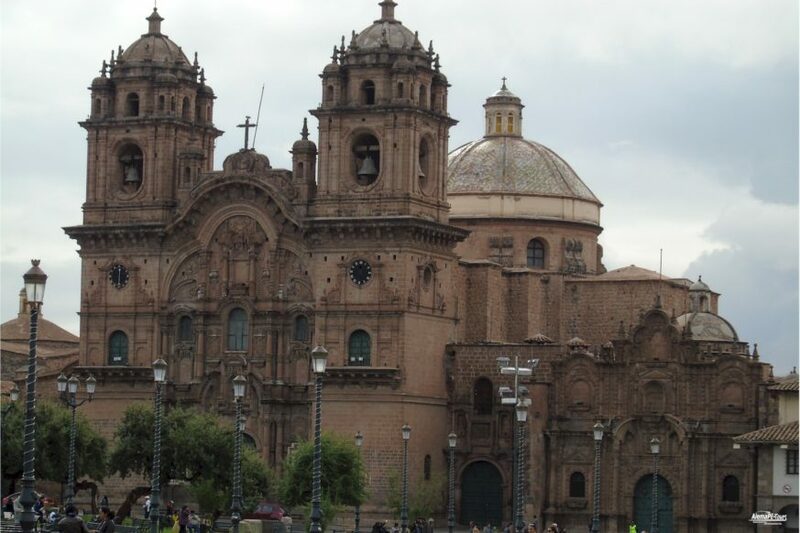 When the Spanish conquistadores arrived in Cuzco, they decided to take down the temple and build their Christian cathedral in that prominent site. The cathedral’s construction began in 1559 on the foundations of Kiswarkancha. It is shaped like a Latin cross. 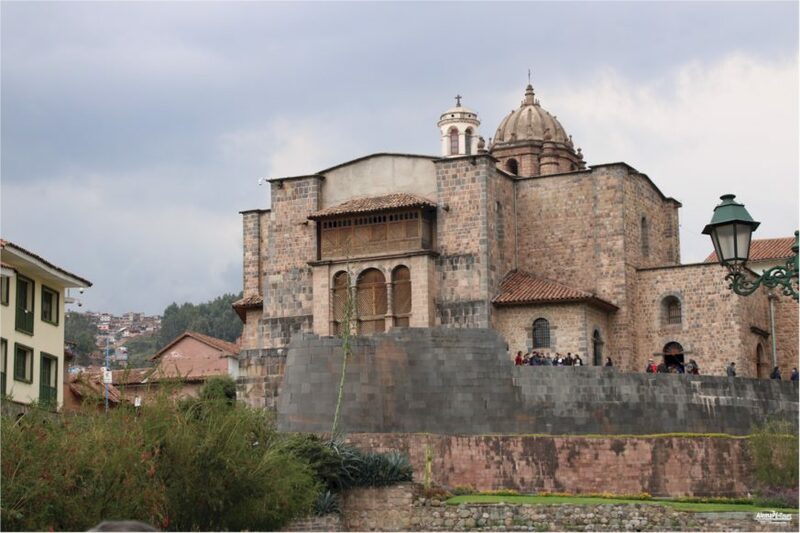 The location of Viracocha’s palace was chosen for the purpose of removing the Inca religion from Cusco, and replacing it with Spanish Catholic Christianity. Because 1559 was only 26 years after the conquistadores entered Cusco in 1533, the vast majority of the population was still of Quechua Inca descent. The Spaniards used the Incas as a labour workforce to build the cathedral. The original designs for the 1-acre (4,000 m²) large construction were drawn by the Spanish architect and conquistador, Juan Miguel de Veramendi. His design of a Latin cross shape incorporated a three-aisled nave, where the roof was supported by only 14 pillars. Over the 95 years of its construction, the building work was supervised by Spanish priests and architects, until its completion in 1654. Most of the stones from the building were taken from Sacsayhuamán, an Inca holy and defensive structure located on the hills above Cusco. Due to its large size, much of Sacsayhuamán remains intact. Just as the temple of Viracocha was removed and the holy stones of Sacsayhuamán were employed to build the cathedral, the intentional desecration of Inca religious architecture, once the Spaniards learned that the very sand spread on Cusco’s main plaza was considered sacred, they removed it and employed it in the cathedral’s mortar. 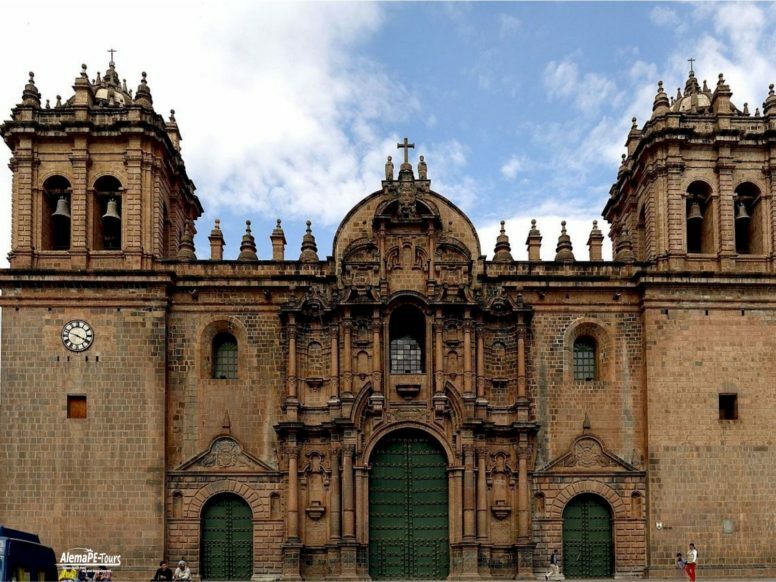 The Gothic-Renaissance style of the cathedral reflects that of Spain during the period of the Spanish conquest of South America and also Cusco. There is also evidence of Baroque influence in the facade on the Plaza de Armas. The Incas incorporated some of their religious symbolism into the cathedral, for example, the carved head of a jaguar (an important god or religious motif found widely through much of ancient Peru) is part of the cathedral doors. 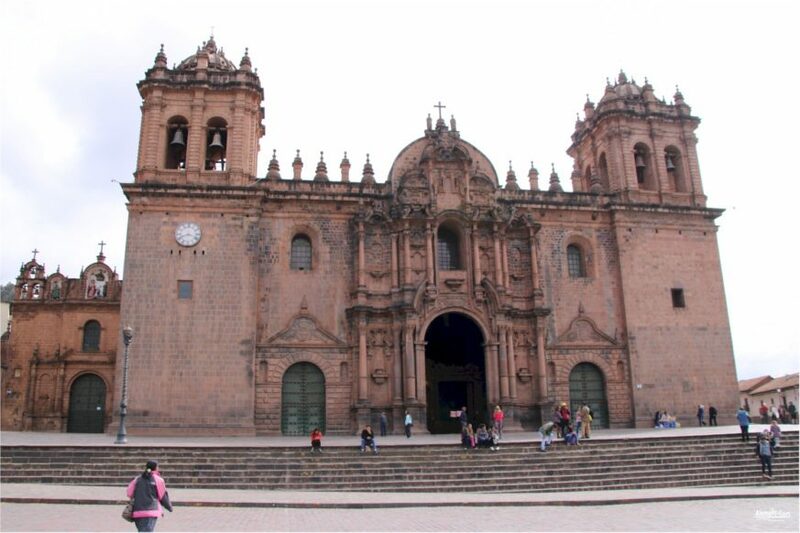 The Church of Triumph, to use its English translation, was built in 1538, just three years after the conquistadores settled in Cusco. 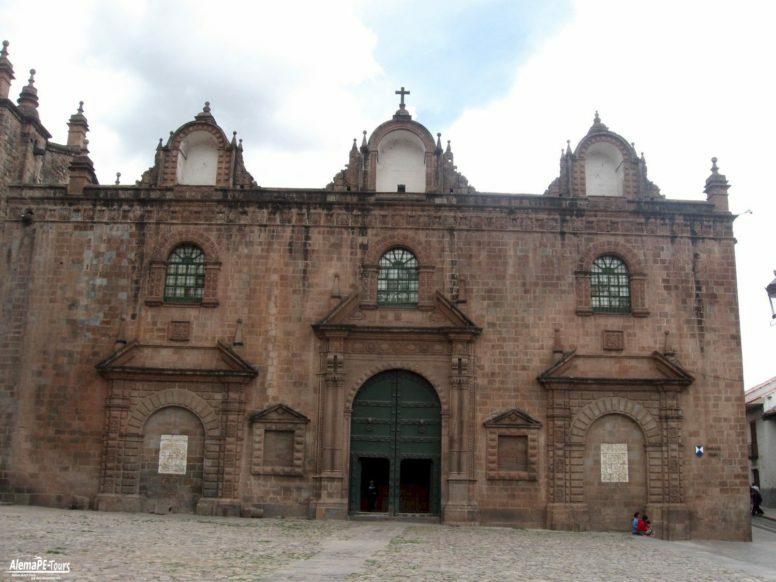 It was built over Suntur Wasi, which was an Inca ceremonial building adjoining the palace of Viracocha, in a similar way to the way that the Cathedral is now adjoined to the earlier Iglesia del Triunfo. 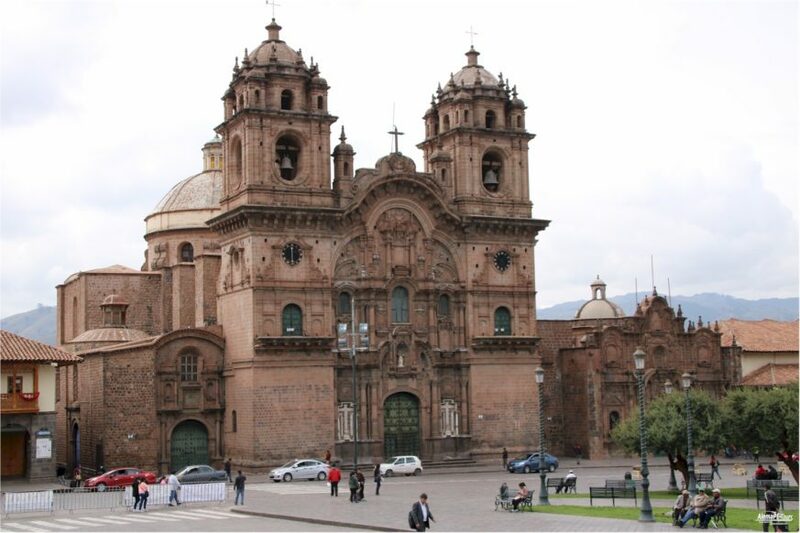 The name of the Church of Triumph derives from the history of the Spanish settlers in Cusco. At one point, presumably between 1533, and 1536, the Spanish were cornered by a besieging army of Incas, led by Manko Inka. The final stand for the Spanish was in the Suntur Wasi, before its demolition, and just as it seemed that they were on the verge of defeat, the Spanish miraculously managed to drive back the Incas. 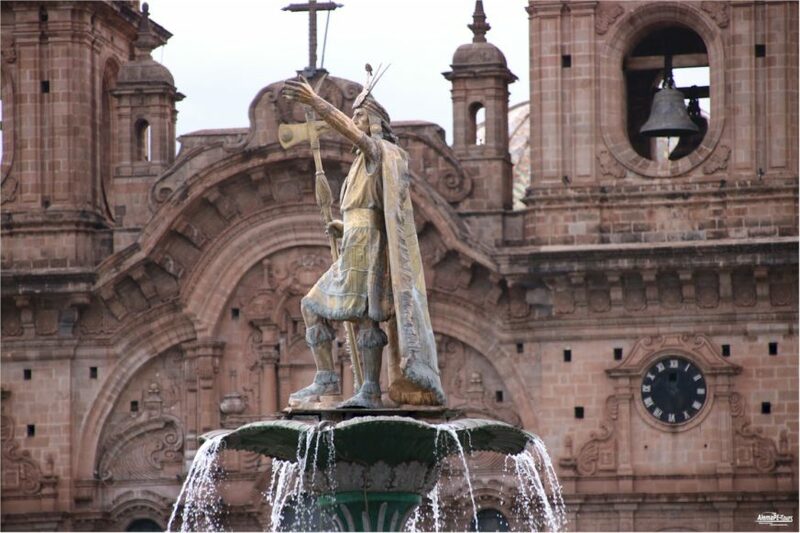 The Catholic conquistadores attributed this victory to Saint James the Greater (the patron saint of Spain), who was reported at the time to descend from heaven to drive back the Incas. This is why the church is called the Church of Triumph, and also why there is a statue of St. James atop a horse within the Church, depicting him slaying an Inca.